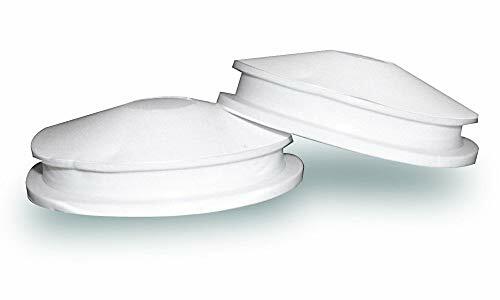 The Leviton PushLock Pins for Structured Media Centers, Bag Of 20 (47615NYL) are intended for use with Leviton's Structured Media System, for the purpose of securing and locking brackets into place inside an enclosure. Made from rugged black nylon for long service. Pop then in, then push the pin to lock a bracket in place. Simply pull the pin out whenever you need to move a bracket no screws to deal with or lose. 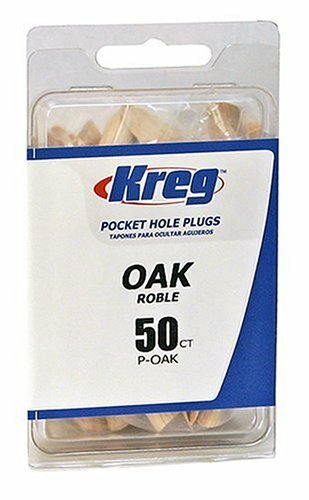 Kreg Oak Plugs for Pockets smoothly covers up pocket holes with oak dowels that securely join wood surfaces. The plugs fit perfectly into pocket holes and require minimal sanding to match pocket angles. The plugs are sealed in their packages to prevent warping from moisture accumulation. This pack includes 50 plugs. Plugs fit sheet metal up to 1/10 thick. Quantity 10 each : 1/4", 3/8", 1/2", 3/4", 1", 1-1/4", 1-1/2", 1-3/4", 2" || All sizes individually packaged in re-closable ziplock bags for easy retrieval and storage. * Material: Low-density polyethylene. -- Please note that these are NOT RUBBER plugs. The size given are for Hole ID. 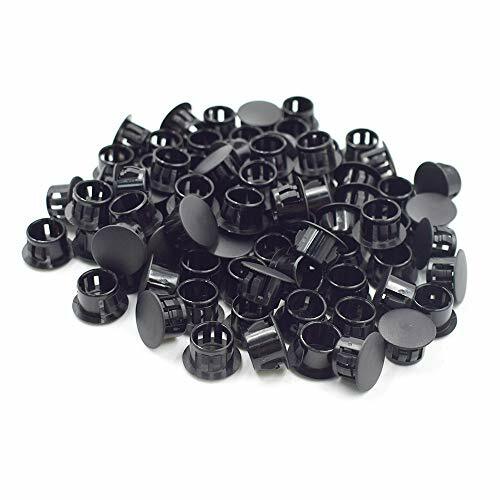 Prescott Plastics 10 Pack: 3/4 Inch Round Black Vinyl End Cap, Cover Rubber Flexible Tube Pipe Marine Safety Tip 0.75"
The General Tools and Instruments 315038 Flat Head Plugs, 3/8", Set of 50 are essential for finishing a variety of wood projects. 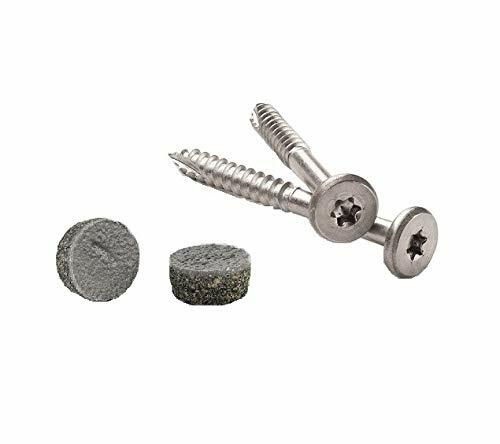 Premium flat head screw hole plugs have a tapered tendon to insure a tight fit. Designed to form a flush finish in furniture and other woodworking applications. The plugs can be painted or stained for a perfect match to the surrounding wood, or a different color for a contrasting look. 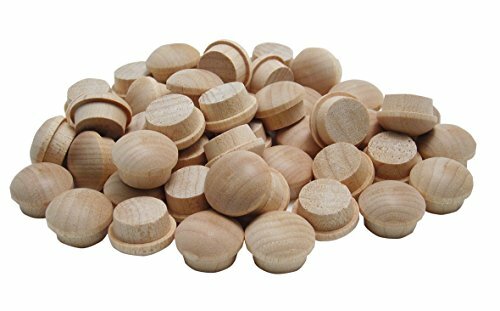 These plugs are 3/8 inch and come in a set of 50; made of hardwood. GENERAL TOOLS - THE PRECISE TOOL FOR DOING THE JOB EXACTLY RIGHT. Offering over 1,000 tools, we re proud to provide tradesmen, craftsmen and DIYers around the world with a broad range of affordable, specific-purpose mechanical hand tools and precision measuring and inspection tools. 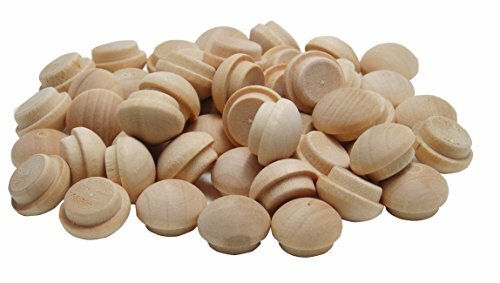 Button Head plugs are ideal for filling in those unsightly screw holes and can be installed easily with wood glue. 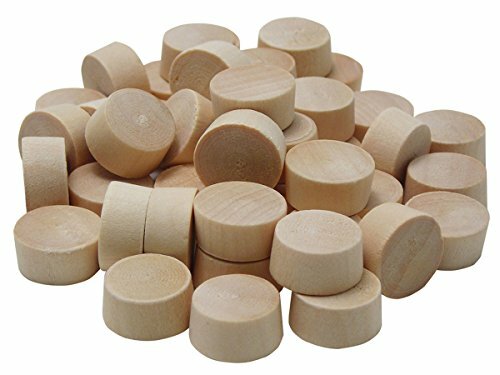 Button Head plugs can be used for a variety of craft, woodworking and furniture projects. When fully seated, the domed, button head protrudes above the wood surface and over the screw hole edge adding a more decorative look. Slightly tapered plug body ensures a tight secure fit. Wood grain runs in the direction of the plug width for best match. Paint or stain for a perfect wood-color match or for accentuated contrast. As an FSC (Forest Stewardship Council), certified company, General's Wood Joining Program includes wood based products that are manufactured in accordance with FSC standards. The FSC is an independent, non-governmental, not-for-profit organization established to promote the responsible management of the world's forests and is nationally represented in more than 50 countries around the world. GENERAL TOOLS - THE PRECISE TOOL FOR DOING THE JOB EXACTLY RIGHT. Offering over 1,000 tools, we re proud to provide tradesmen, craftsmen and DIYers around the world with a broad range of affordable, specific-purpose mechanical hand tools and precision measuring and inspection tools. 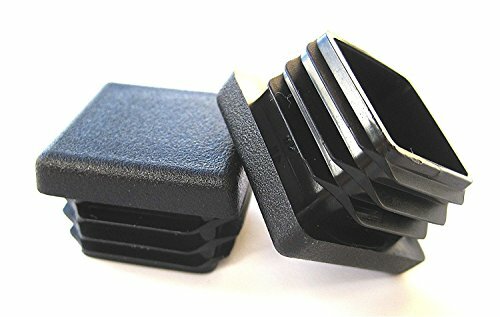 Ideal for plugging on the furniture legs holes.Plastic Ribbed for easy assembly and secure fitting. All pieces have recessed rim for easy mounting. 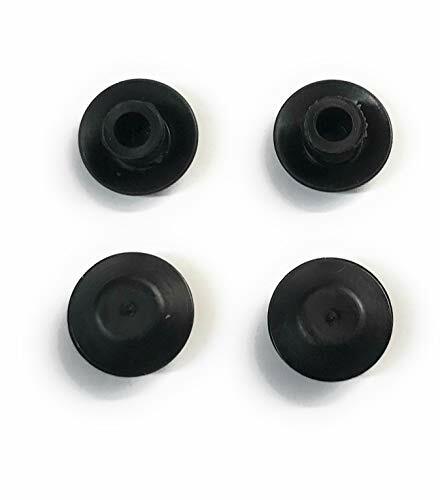 Set includes rubber grommets (inside diameter x outside diameter x depth): 1/8 x 1/4 x 1/4, 7/32 x 5/16 x 3/8, 9/32 x 1/2 x 5/16, 1/2 x 19/32 x 5/16, 3/8 x 15/32 x 5/16, 3/8 x 1/2 x 1/4, 5/16 x 9/16 x 3/8, 3/8 x 13/16 x 5/16, 7/16 x 3/4 x 5/16, 5/8 x 31/32 x 5/16, 3/4 x 15/16 x 5/16. 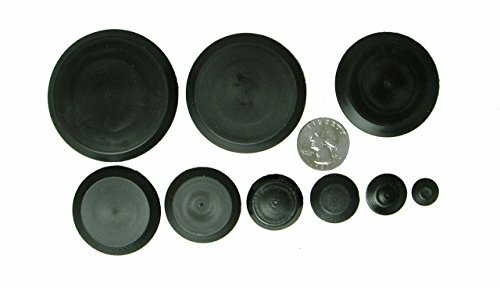 Rubber plugs in outside diameters (all 1/4 thickness): 9/32, 1/2, 5/8, 3/4, 7/8 and 1. See-through organizer case has 18 compartments to keep items organized and easy to identify; double latch lid. Outstanding value - 125 quality hardware items for price of half-dozen in hardware store! Maximum Back Pressure 17 psi 40 ft.
Patented threaded O-ring ensures airtight seal. Guaranteed to seal all damaged threads. Made with glass-reinforced ABS plastic and natural rubber O-ring. Three flexible Ridges for positive fit. Wing nut on 3/8 - 1-1/4 sizes. Hex nut on 1.5 through 5 sizes. 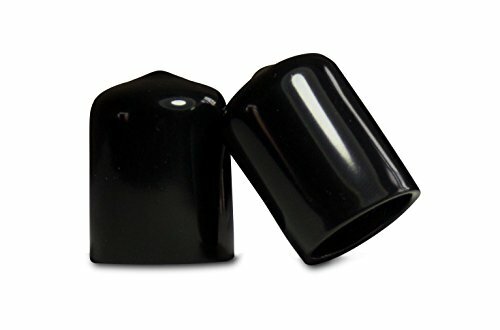 LASCO 33-3298 Countersunk Slotted ABS Black Plastic Cleanout Plug, 4-Inch. Use for access to drain pipe. Slotted countersunk installation. 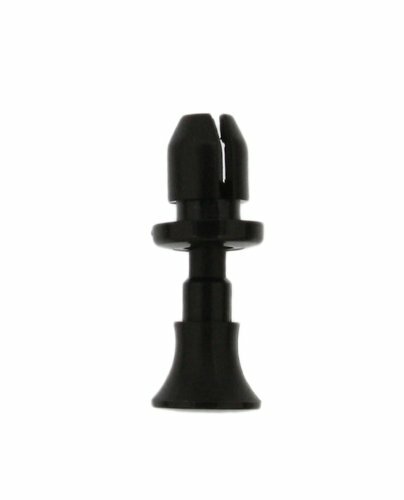 4-Inch male thread plastic cleanout plug. Larsen Supply a third generation family owned and operated company with over 80 years of experience has the largest retail plumbing line in the industry today with over 7000 packaged and 16,000 bulk SKU's. We pride ourselves on service, selection and support! All Lasco merchandise if warranted to be free of manufacturing defects. Please revert to retail place of purchase for resolution of any possible plumbing questions, warranty or defective part replacement. 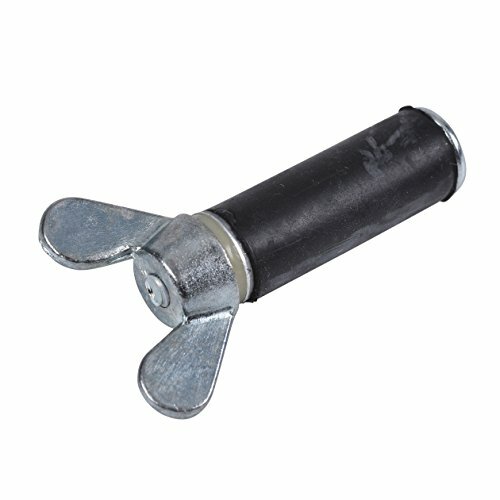 Suitable for Furniture,Hardware,Cabinet and etc. Color: White; Made of plastic material, fit for 5mm diameter hole. Hole fix Caps are the easiest and cheapest way to hide unsightly shelf-adjustment holes. Used for plugging and concealing unused peg holes in cabinetry with adjustable peg-supported shelving. 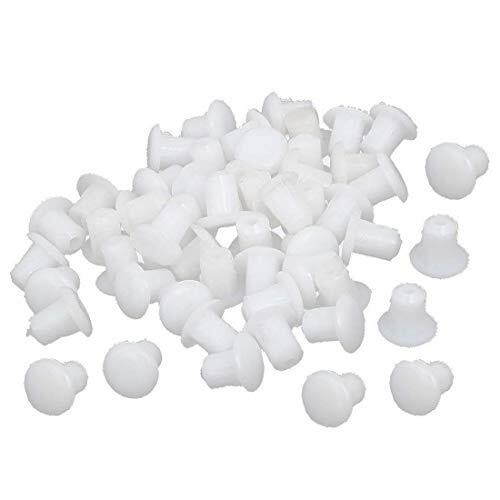 Made of a flexible white PVC, this stopper fits neatly into any opening that measures 1-3/4 inch in diameter. 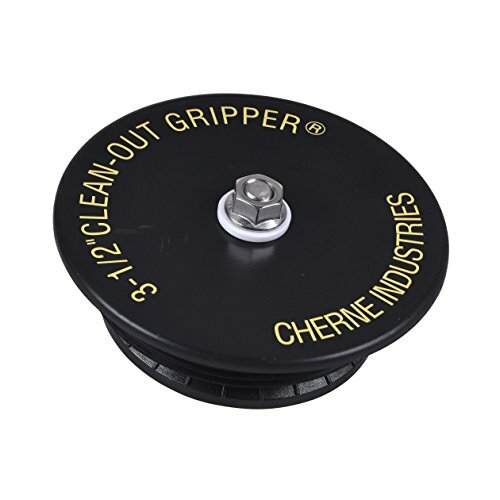 The stopper has a flat bottom and the groove around the edge measures 3/16 of an inch in height and 1-11/16 inches in diameter. The bottom flange measures 1-15/16 inches in diameter and the top flange measures 1-13/16 inches in diameter. 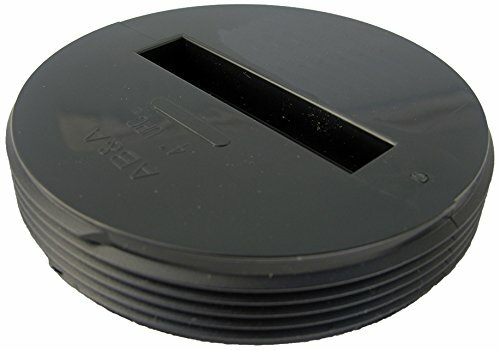 This stopper is suitable for plugging the bottom of piggy banks and other objects requiring a hole plug. They have a very low profile so they do not take up too much room inside your product. The plug sits snugly against the bottom of your item so it will not interfere with the surface it is placed on. 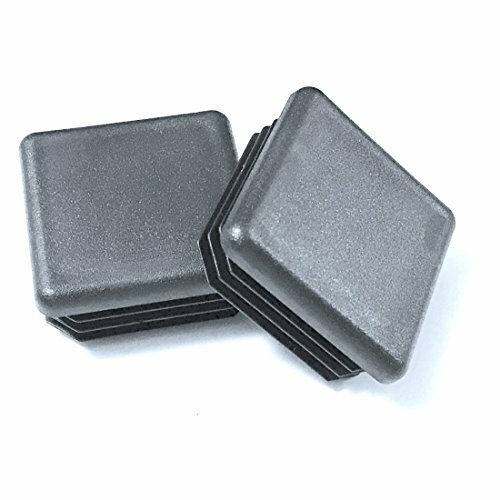 This offer includes 10 of these quality stoppers. NOTE: PLEASE MEASURE CAREFULLY THE HOLE YOU ARE TRYING TO PLUG TO MAKE SURE THE STOPPER WILL FIT PROPERLY. The groove is the measurement that will fit into the opening you are plugging. The flange is the entire width across. 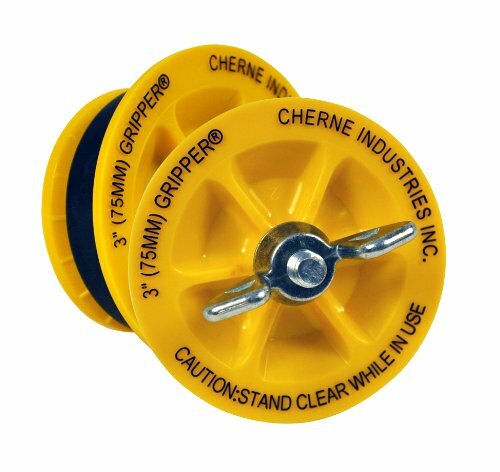 Gripper Plugs are ideal for sewer testing and long-term applications. 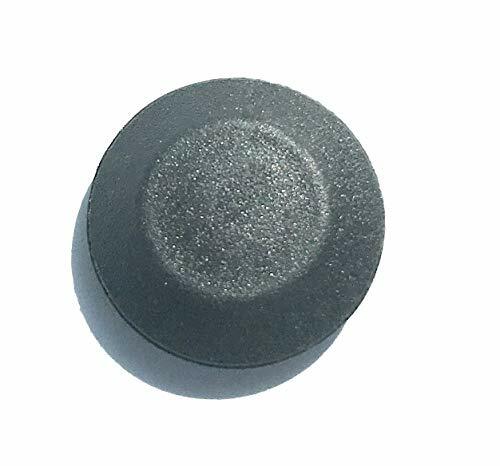 Cyful Panel Plugs Hole Plugs (Mounting Hole: 12.5-13mm), Plastic Flush Type Hole Plugs, Home Furniture Fastener, Plastic Pipe Choke Plug Black 1/2"
Feature: Used widely in the automotive and commercial vehicles, domestic appliances, Furniture manufacture and general light engineering. Can fix and prevent the cable in disorder, also can fill the redundant holes, keep the panel flat. No special tools are required just a push fit, is easy to install.